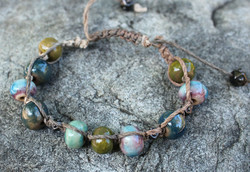 Gaea is the name of the Greek goddess "Mother Earth." 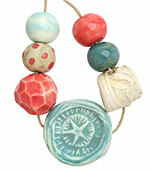 It's also the fitting name of the artist who creates a line of handmade ceramic pendants that we love! 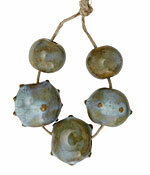 Her line, including great resin frames, is fired and glazed in California. 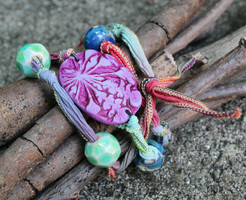 She finds inspiration in everyday things, but the final product is anything but ordinary! 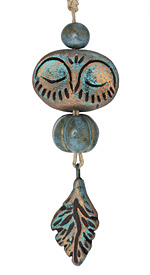 Gaea Ceramic Dreaming Owl Bundle BACK IN STOCK! 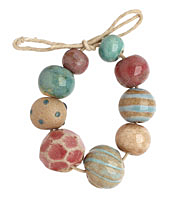 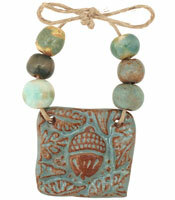 Gaea Ceramic Coral Reef Bundle BACK IN STOCK! 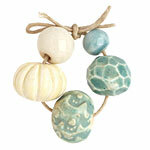 Gaea Ceramic Cerulean Organic Round 9-10x12-13mm BACK IN STOCK! 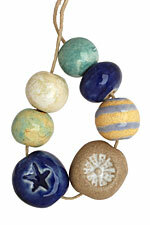 Gaea Ceramic Indigo Pebble Bead 13-15x11-13mm BACK IN STOCK! 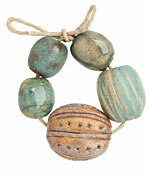 Gaea Ceramic Robin's Egg on Buff Rondelle 8-10x13-16mm BACK IN STOCK! 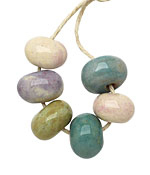 Gaea Ceramic Pink Lemonade on Buff Pebble Bead 13-15x11-13mm BACK IN STOCK! 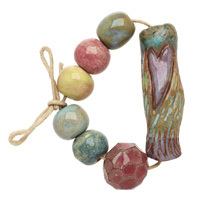 Gaea Ceramic Forest Bundle BACK IN STOCK! 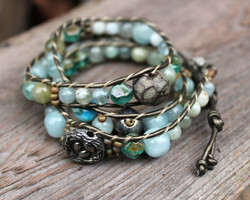 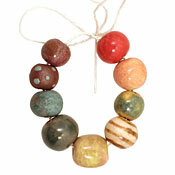 Gaea Ceramic Gem Bundle BACK IN STOCK! 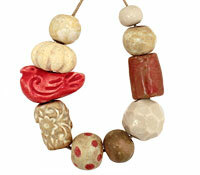 Gaea Ceramic Sunshine La Vie En Rose Heart 20-21x22-23mm BACK IN STOCK! 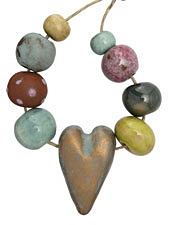 Gaea Ceramic Heart of Gold Bundle BACK IN STOCK! 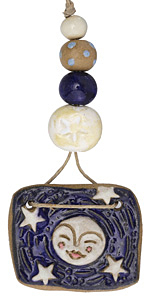 Gaea Ceramic Twilight True Love Pendant 25x29mm BACK IN STOCK! 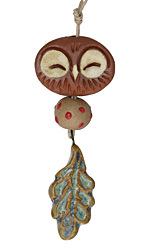 Gaea Ceramic Lace Bordered Raven in Blush Pendant 50x29mm BACK IN STOCK! 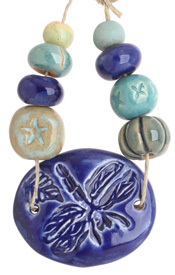 Gaea Ceramic Springtime on Tan Rondelle 8-10x13-16mm BACK IN STOCK! 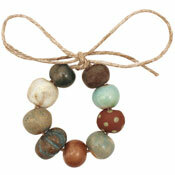 Gaea Ceramic Cool Patina on Chocolate Pebble Bead 13-15x11-13mm BACK IN STOCK! 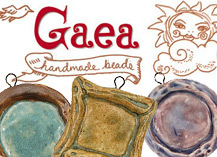 Gaea Ceramic Celedon on Buff Rondelle 8-10x13-16mm BACK IN STOCK! 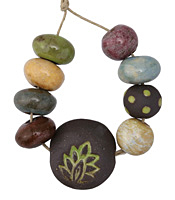 Gaea Ceramic Dark Purple Haze Polka Dot on Black Round Bead 10-12mm BACK IN STOCK! 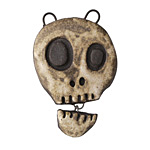 Gaea Talking Skull Pendant 28x42-45mm BACK IN STOCK! 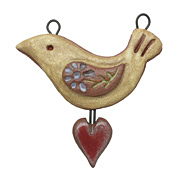 Gaea Ceramic Red Birdy Bundle BACK IN STOCK! 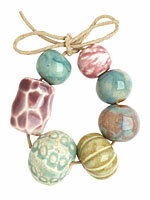 Gaea Ceramic Evening Glow Bundle BACK IN STOCK! 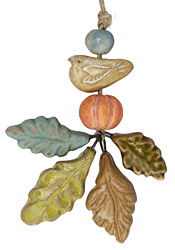 Gaea Ceramic Pearl on Tan Folksy Bird 10-11x23-25mm BACK IN STOCK!